It is the year 2030, and the stage is the capital of Japan, Chou-Tokyo. Through “Buddyfight”, humans have started cultural interactions with residents from other worlds called “Affinity Dimensions”. 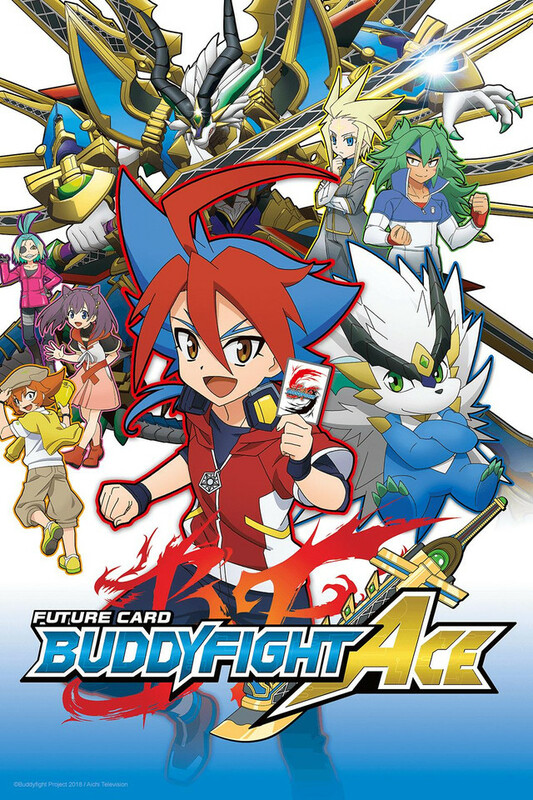 Buddyfight is a game with selected humans as the “Buddyfighter”, and residents from the other world as the partner (known as “Buddy Monster”). These battles have high significance and sometimes it is even used to decide the fate of a nation, and naturally there are those who seek to use the Buddy Monsters for evil purposes. Gao Mikado is a 6th year elementary student at Aibo Academy. He really likes Buddyfight, and hopes to have a Buddy Monster someday. One fine day, Gao rescues a boy from some hooligans out of kindness, and this act catches the attention of a monster from the other world. This monster happens to be “Drum Bunker Dragon”, son of a hero from Dragon World. Drum takes a liking to the unconventional Gao, and forms a pact with him as a buddy. This is the story of their journey, and the deep bonds they forge with each other, as well as the various friends they meet along the way!